Mellany Msengezi Mariri | Questions to ask & answer in the Digital World. Questions to ask & answer in the Digital World. Are you up to date about the digital buzz? If you have been ignoring it in your current space or environment, I suggest that you call me and let’s get you up to date. We are indeed living in a fast paced world, at least according to my world in technology, telecoms and media. There seems to be people who are daily ensuring that change takes place. The technology that we use today has high probability of changing over night. I am serious, you can wake up with obsolete technology and if your whole business model is around that very technology you are out of business. On the other end, if you have no technology or planning to get more efficient by adopting technology be very afraid. Yes you can be traditional, I agree, but whole markets can be wiped out due to a simple application that if free coming into play. If you are lucky, you can be left with a niche market that still want ‘traditional’ whilst the rest go for fast and still getting a good service or product. 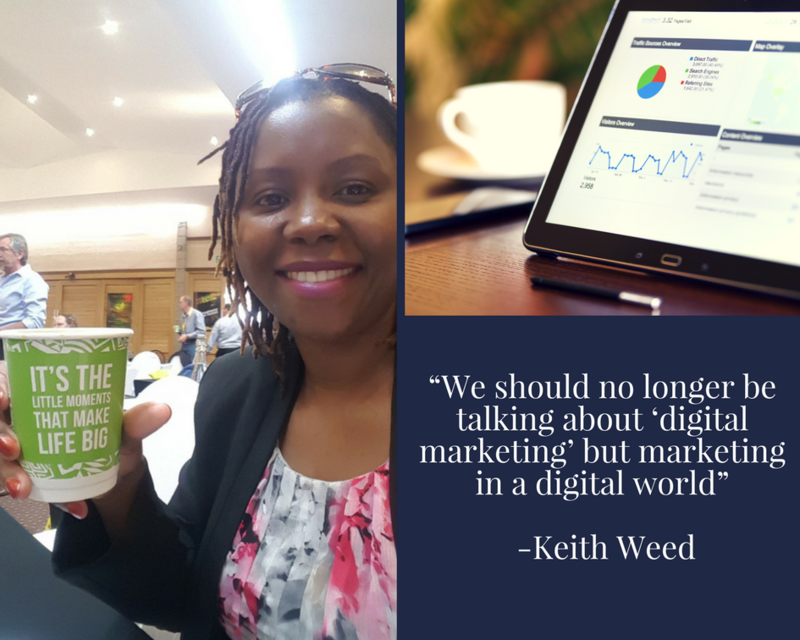 Stepping back into my world of Marketing, it is no longer about #DigitalMarketing alone but fully embracing #marketing in a #digitalworld. The customer is now happy with #Digital and each day the world is adding more numbers on digital platforms. My job is to find the customer in their world. Resisting moving in their new space will not help me at all, and maybe you too. Whatever industry you serve, ask yourself if you really understand the digital world; What has changed about the customer as they operate in the new digital world? How best should you serve them? I will post a separate blog about the digital world soon where I will share my personal views on #mobilephones, #displayadvertising, #socialmedia and lots more.